"Goodbye old friend. You live on in our hearts..."
"Bruce has been a dear friend for many years.....he will be..."
"You are missed, Bruce. May peace find you and keep you..."
"Uncle Bruce I love you and will miss you!" "We miss you so much Papa!" 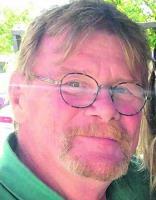 Bruce Eugene Jones passed away at home on July 31st after a brief and courageous battle with Lymphoma. He was born Feb. 27, 1952 in Bloomington, IN and grew up in Mattoon, IL where he attended Mattoon High School. Bruce attended Southern Illinois University in Carbondale before relocating to the Northwest from Illinois in 1976. He became a passionate fan of the Trailblazers, Seahawks and all that Oregon and Washington had to offer. He even took some amazing shots of the St. Helens eruption from about as close as was safe, only to have them stolen by the developer. Bruce loved home design and construction and made a career as a carpenter and builder before rekindling a love of golf and carrying on his father Frank's hobby of crafting intricate birdhouses that became little family treasures. and loved his family with abandon. Bruce is survived by his wife, Julie Jones of Vancouver, WA; brother, Brian Jones of Lake City, FL; his children, Ethan Jones of Lancaster, PA, Lindsay Elliott (Jones) of Jamestown, OH, Danice Wilkins of Reno, NV, and Kathleen Reaney (Wilkins) of Vancouver, WA; and 9 grandchildren, Elijah, Kendall, Morgan, Dublin, William, Kael, Elliott, Theadora, and Avery. He was preceded in death by his parents, Dee Elaine Jones and Frank Edward Jones of Mattoon, IL. A Celebration of Life will be held at The Heathman Lodge in Vancouver, WA, Sat., Oct. 1st at 2:00 p.m.